Optomec announced today that the company has been awarded a major project from America Makes, the National Additive Manufacturing Innovation Institute. The “Re-Born in the USA” project will focus on advancing additive manufacturing technology for the repair of aerospace metal components for the U.S. Air Force. 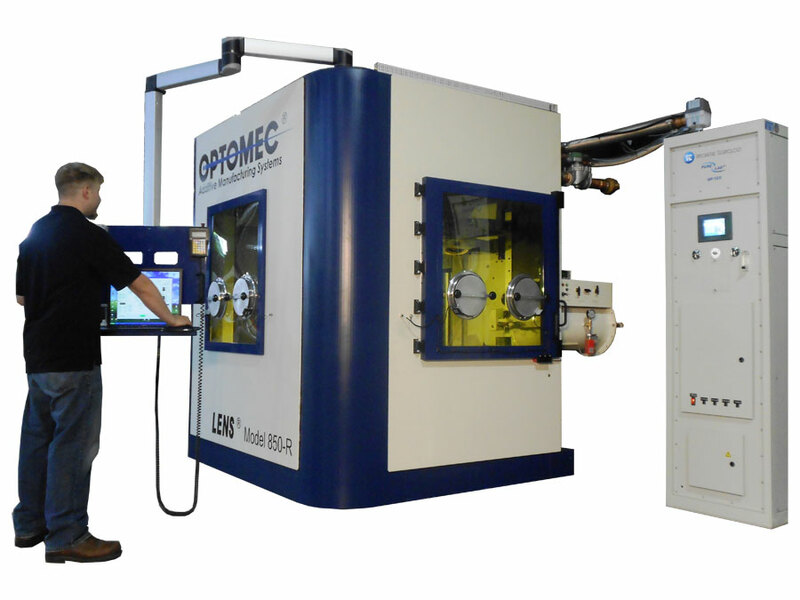 Specifically, the team led by Optomec will leverage the unique advantages of LENS 3D metal printing technology, and the expertise of some of the world’s leading aerospace companies and industry organizations, to advance a reliable, cost-effective approach to replace conventional repair processes such as manual welding. The potential benefits of using additive manufacturing to repair high value metal components include lower costs, higher quality, longer life and faster return to service. Optomec will lead a project team consisting of 23 partners, including aerospace industry leaders GE Aviation, Lockheed Martin, United Technologies Research Center and Rolls-Royce, as well as a group of technical experts serving as lead contributors, including EWI, Connecticut Center for Advanced Technology, TechSolve, the Pennsylvania State University Applied Research Lab and Concurrent Technologies Corporation. The term of the project is two years and is valued at $4 million ($2.6 million public share and $1.4 million private cost share). This is the third America Makes project awarded to Optomec this year. The goal of the project is to develop a set of specifications and a knowledge base of best practices in advancing additive manufacturing methods to repair aerospace metal components. This includes definition of optimum powder feedstock characteristics, improvements in process monitoring and control, and recommendations for part repair and sustainment applications specifically for the Air Force. At the core of the project is Optomec’s LENS metal 3D printing technology. Unlike “powder-bed” additive manufacturing approaches, the LENSprocess can add metal onto an existing substrate of almost any 3-dimensional shape. Powder-bed processes require a flat, 2-dimensional horizontal base. This makes the LENS Additive Manufacturing process well qualified to perform repair operations. LENS machines are already in use around the world conducting repairs of ground-based high value components for defense and other industries.